One of the many wonderful things about this time of year is all the different traditions carried out. My parents started an ornament tradition when I was born and I am so thankful they did. The tradition is simple–they simply got an ornament for me each year. Once I was old enough, I got to pick out my own ornaments. Some ornaments are just something they thought was cute or something I liked at the time (like my Care Bear ornament from 1986); some are from special places (like my Figment ornament from our 1991 Disney World trip and my shamrock from a band trip to Ireland in 2000); and some have special meaning for that year (like the clarinet, drum, and Nebraska ornament from my first year of college). For any ornament without the year on it, my mom wrote the year on the bottom. It’s one of my very favorites! This year, Big Brother noticed it and said, “look, it’s Mommy & Daddy”. The first Christmas we were married, my parents gave me all my ornaments (and we received my husband’s ornaments as his grandma started the same tradition in their family when my husband was about 10 or so). We continued the tradition and each year (even before kids) we got an ornament for us. Now, we’ve started our little guys’ ornament collections as well. It’s such a simple tradition to carry out and one that is so sentimental. Each year, I love getting out all these special ornaments–bringing back so many wonderful memories of years past. 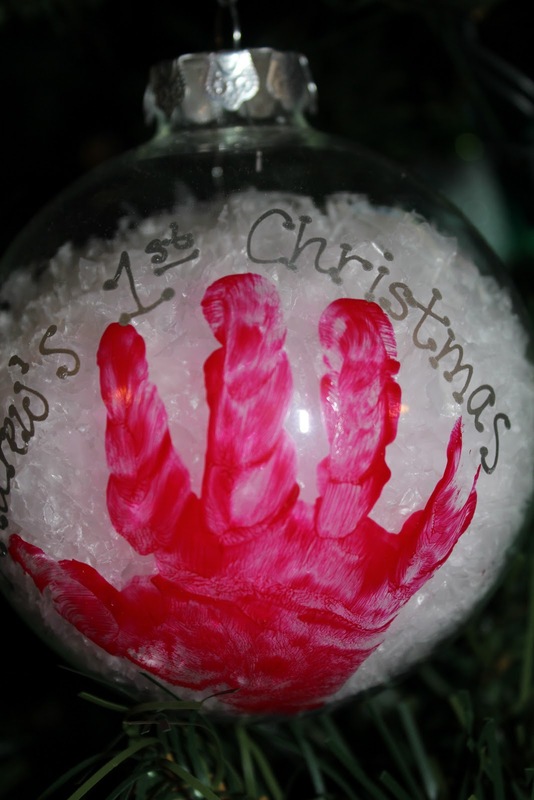 Do you have any ornament traditions or ones with extra special meaning? We do this at my house too. My two year old loved picking out his ornament this year. What a fun tradition! I love how the ornaments all tell a story. Thanks for sharing! wonderful tradition! i've heard of others doing this and maybe next year i'll start this with my own children! thanks for linking up! could you grab a button (the code was broken, but it's fixed now) thanks again! awww…that's so sweet that your mom made you one! I am so glad to see other people doing this too! I started this with my boys a couple of years ago when they were 7 and 4 I believe, so not since birth but I think its a good start. I don't let them pick their ornaments, what I do is pick an ornament that is significant to something they accomplished, or did, or are into from the year. Love it.